They gave up their home and jobs in Pretoria to be closer to their granddaughter so that they could care for her and surround her with love. Little Nadya Roos was born with hydrocephaly and must be taken care of to avoid epileptic fits and dangerous ear infections, so and Grandma Christa Roos and Grandpa Werner made the move to Cape Town to help Nadya's mom, Melissa. Melissa Roos is a trained makeup artist and is trying to build up a clientele of people she can see at their homes - in between hospital visits and sleepless nights. The whole family is now in Cape Town to be close to the Tygerberg Hospital and Red Cross Children’s Hospital. But now they face the struggle of finding accommodation and work while caring for Nadya. As soon as Nadya is well enough specialists will operate and insert a second stent so that the fluid drains out of her head faster and relieves pressure on her brain. Doctors in Pretoria repeatedly told Nadya’s parents, Melissa (23) and Ralph Stirk (48), that they should abort because she would be born with hydrography, but they stuck top their guns and don’t regret their decision one bit. “She is my love. She is my life,” says Melissa. Nadya was eventually delivered via C-Section at the Tygerberg Hospital in Bellville, outside of Cape Town, on 30 April last year because Ralph and Melissa felt that they couldn’t get the necessary help for their daughter in Pretoria. Little Nadya recently had pipes placed inside her ears to assist with an ear infection. They are now waiting to hear if doctors can operate by inserting a second stent which will drain the fluid through her stomach. But for now, the family want to make sure that each them somehow earn an income so that they can help Nadya survive and also find a home where the little one will feel settled. 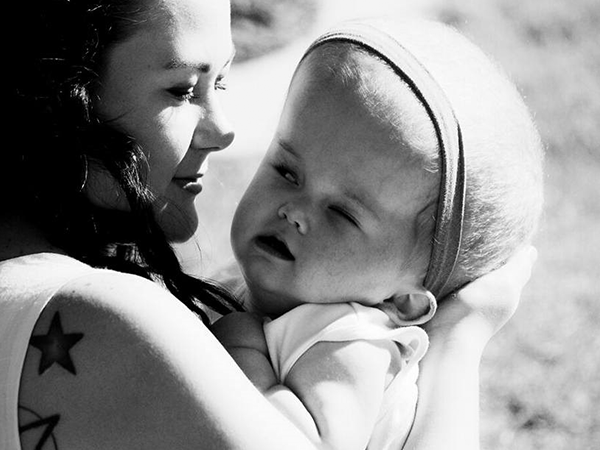 The term hydrocephaly is derived from the Greek word “hydro” which means water, and “cephalus” which means head. As the name indicated the condition is characterised by an excess build-up of fluid in the brain. Although hydrocephaly is often termed “water in the brain” the fluid is actually cerebrospinal fluid (CSF) – a clear liquid which surrounds the brain and spine. The build-up of CSF leads to an abnormal enlargement of the spaces in the brain, known as ventricles. The spread can potentially put to much pressure on the brain and cause damage to brain tissue.